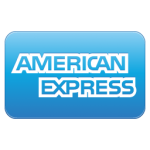 Our therapists tailor to the clients particular needs by adjusting pressure, technique, and positioning when needed. Our therapists have experience treating clients of all ages, sizes, and activity levels. 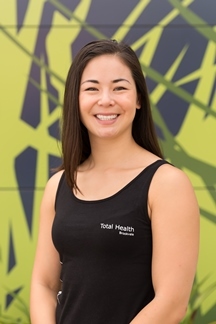 Come see one of our massage therapists here at Total Health Brookvale, and you will leave feeling refreshed. 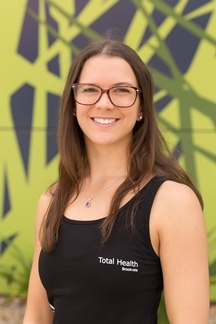 Holly completed her Diploma in Remedial Massage Therapy at the Australian Institute of Fitness which has allowed her to offer a variety of treatments at Total Health Brookvale including Remedial, Swedish, deep tissue, sports and pregnancy massage. Holly has also successfully completed a Remedial Stone Fusion course with Inner Alchemy Massage which allows her to combine remedial and hot stone techniques to provide a new dimension to her treatment. Holly’s hot stone treatments create deep thermo-therapeutic healing by relaxing the muscles, decongesting the tissues and easing sore joints. Holly is passionate about health and fitness and understands the importance of massage in alleviating muscular pain and restriction. She uses a range of techniques to provide a massage that promotes healing and relaxation to assist people in overcoming a number of physical issues. Amanda has worked on the Northern beaches for more than three years now and has over six years industry experience. She is familiar with the laid back, yet active lifestyle that the Northern beaches residents love to have. She is a resident of Dee Why, and loves the constant buzz of the Suburb. 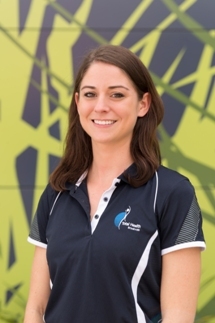 Amanda graduated with her Diploma of Remedial Massage in 2010, and was awarded Outstanding Manual Therapies Graduate by the Australasian College of Natural Therapies. Amanda treats entire families, from the adolescents to grandparents and has been a popular provider of sports, remedial and pregnancy massage for Dee Why residents and surrounding suburbs. She is excited to bring her skillset to Total Health Brookvale in a location that is convenient for Northern Beaches residents (onsite parking is so great!). Sydney completed her Diploma in Remedial Massage Therapy at Nature Care College in 2009. Originally from the United States, She has been massaging on the northern beaches ever since. Sydney loves being so close to the ocean, and enjoys living a healthy lifestyle. Some of her hobbies include; training at the gym, seeing friends, playing team sports, and outdoors activities. You might also see Sydney at the front reception desk! Here is some more information on Hot Stone massage - our latest style of massage. All of our therapists hold professional qualifications obtained in Australia, and and are accredited members of the Australian Traditional Medicine Society or the Australian Association of Massage Therapists. 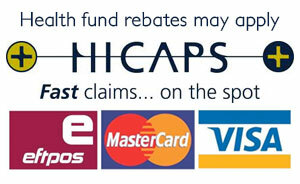 This allows massage appointments to be covered by all private health funds, with most rebates available for on the spot claiming through Hicaps. Our massage therapists are trained in remedial, sports, pregnancy and relaxation massage and use a variety of techniques including myofascial release, trigger point and stretching to help your body release the tension caused by daily activities.